Hey CF readers! Do you ever want to try a new trend, but are afraid it might be a little too wild? 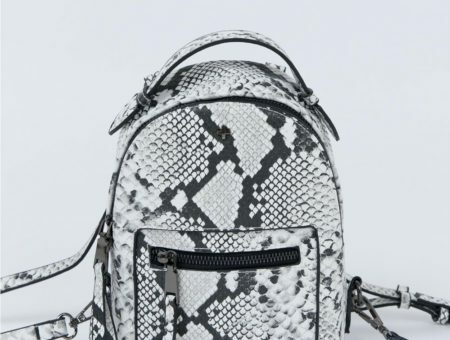 Do you have trouble incorporating a new trend into your wardrobe? Or maybe you just don’t know how to style it? Have no fear! I’m here to try out every wacky trend in the book, just for you, in this new column, Test Drive. Ah, mom jeans. The close cousin (err… should I say mother?) of boyfriend jeans. You may have noticed the ever-popular skinny jeans have been seeing a little bit of a decline in the last few months, and a looser fit is taking center stage. This new style draws inspiration from vintage Levi’s, ’90s TV shows, and the rise of normcore. 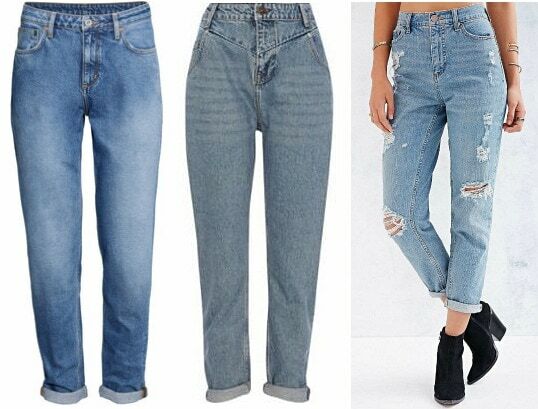 Mom jeans are typically high-waisted, light-wash jeans made of a thick denim that is cut like a straight-leg jean. Mom jeans are also super-duper cool – don’t let anyone tell you otherwise! Mom jeans totally work for school. All it takes is a little confidence! Trust me, your friends will think they’re adorable. Because the jeans are kind of baggy, I wanted to keep my top half pretty close-fitting. I styled them with this fuzzy cropped sweater. Because it’s black, it keeps with the neutral theme, while the texture adds interest to the outfit. I cuffed the jeans at the bottom and added my favorite tan lace-up booties. I think a small heel looks really great with mom jeans because it elongates your leg, but if you really aren’t a heel person they’ll look just as cute with no-heeled booties or dainty flats. I went on a quest for mom jeans that lasted – I kid you not – months. They were not easy to find! Urban Outfitters makes mom jeans, but I couldn’t find them in my size anywhere. I finally found the perfect-fitting pair at American Apparel. They were pretty pricey, but I get a lot of wear out of them and the thick material makes me think they’ll last for ages. Check out thrift stores! There’s nothing better than a pair of real vintage mom jeans. Etsy has somecutepairs – just be sure to read the seller’s reviews. Some people have luck buying a pair of straight-leg jeans one or two sizes up and belting them. You could also search for slim-cut boyfriend jeans, which are essentially the same thing. If all else fails, and you end up getting them at a more expensive retailer, make sure they are made of a good, sturdy material that will last you a long time. The more wear you get out of them, the less expensive they become! Keep your outfit pretty neutral to really play up the normcore vibe. A solid-colored, fitted top and neutral shoes and accessories are a great way to go. Or, for a more relaxed, bohemian look, try a loose-fitting top half-tucked in or a long kimono. Dress them up with neutral heels, a button-down, and a blazer for a more relaxed job or internship. Try them with a crop top. Since the jeans are high-waisted, you won’t really be showing any skin. Roll the cuffs, especially if you’re short like me. It’ll really make your legs look longer. Mom jeans are totally wearable! 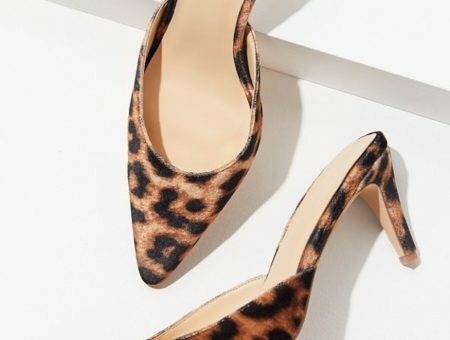 They’re really great for anything casual – school, hanging out with friends, going to a coffee shop, you name it – but also pretty easy to dress up. They’re a cool take on a kind of throw-back trend, and are also super, super comfy. I definitely recommend trying out a pair of mom jeans. 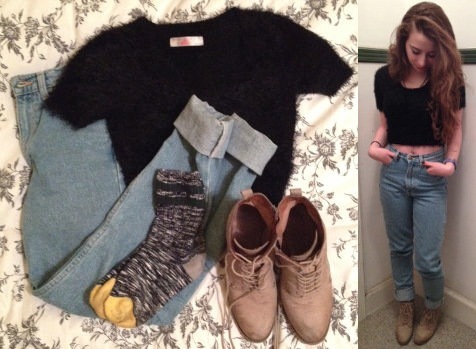 Would you wear mom jeans? How would you style them? What trend would you like to see next on Test Drive? Let me know by leaving a comment. Next Would You Wear… a Boxy Crop Top?